Condition: Undamaged Condition without chips, cracks, or mold damage. The lovely fired on decals have been applied nicely and are in pristine condition. 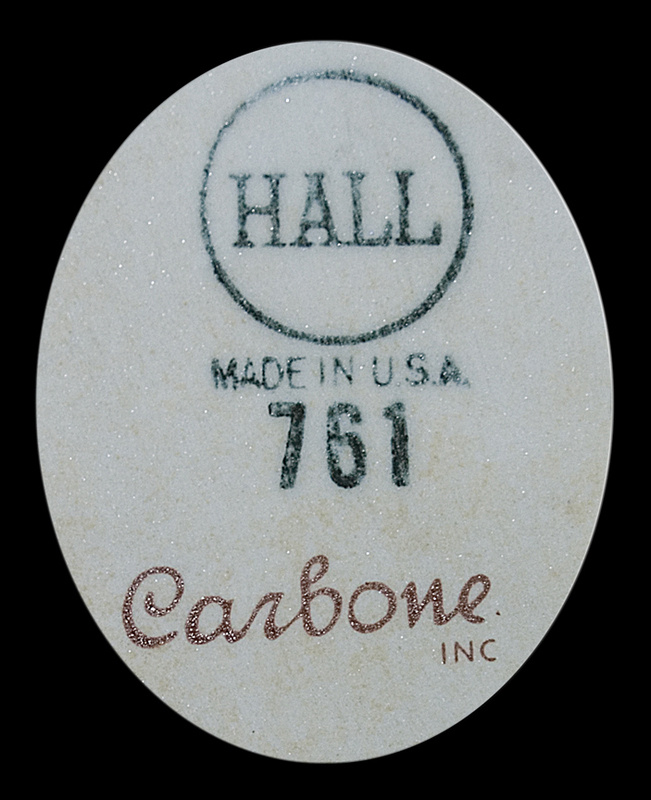 Note: Our beautiful Pink Clover Casserole was made by Hall China for Carbone Inc. Carbone bought and sold dinnerware through their Department Stores. Clover, "Pink Clover" is not often found for sale. It was only made and sold for 2 years. So far only kitchen items have been seen. 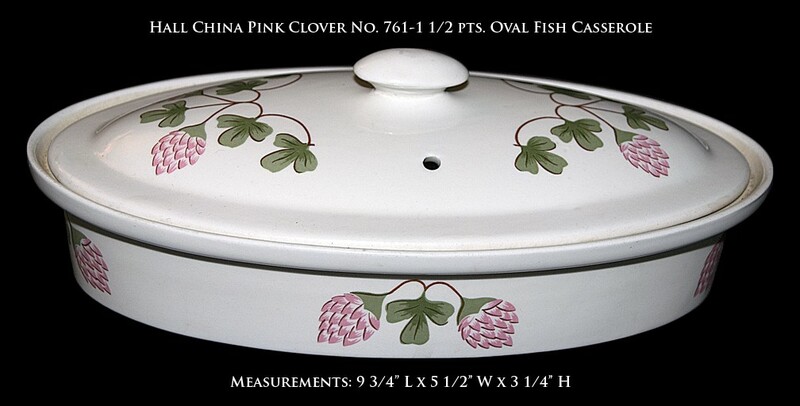 The oval fish casserole is very hard to find.